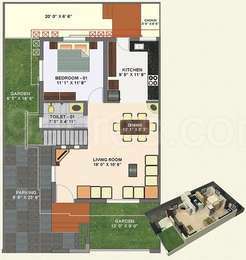 Hide this Project (Pratham Vistas) Discover properties in other projects by hiding the ones that doesn't interest you. You won't see them in your searches further but you can unhide anytime later. Hide this Dealer (Amit Anam) Discover properties by other dealers by hiding those whom you have already spoken to. You won't see them in your searches further but you can unhide anytime later. Welcome to a space, all of your own; where you can breathe easy? a space whose pleasant surroundings and proximity to nature will rejuvenate your mind, body and soul. Step in to your refuge, against the drudgeries of today?s hectic cut throat lifestyles. Pratham Vistas ? where every day begins amidst the calming pressure of lush greenery addends with the soothing breeze of fresh, unpolluted air. Where every conceivable requirement for comfortable living is a priority. A verdant panorama of comfort and amenities; amidst the soothing lap of nature. A thoughtfully planned home which is the perfect blend of spatial connivance, trendy lifestyles and peaceful environs. Step into the world of picturesque world beyond daily stress and worries. Welcome to Pratham Vistas. Where is Pratham Vistas located? Bhayli, a prime residential locality for house seekers in Vadodara. ards quality and client satisfaction, the company has rapidly made its mark felt in the real estate circles of the state. Its property portfolio consists of constructions of varied segments such as residential, commercial, retail and others. Pratham Riveria is one of the recent and most notable real estate projects of Pratham Enterprises. Pratham Vistas in Bhaily Vadodara. Rs 63L-65L. Find the details in the link below. https://www.pratham.biz/pratham_vistas.html Worth a buy as a long term investment? Yes worth for long term investment. What is sq ft rate?